Often when workwear is the focus of any conversation, the fabric chosen forms part of the chit-chat. 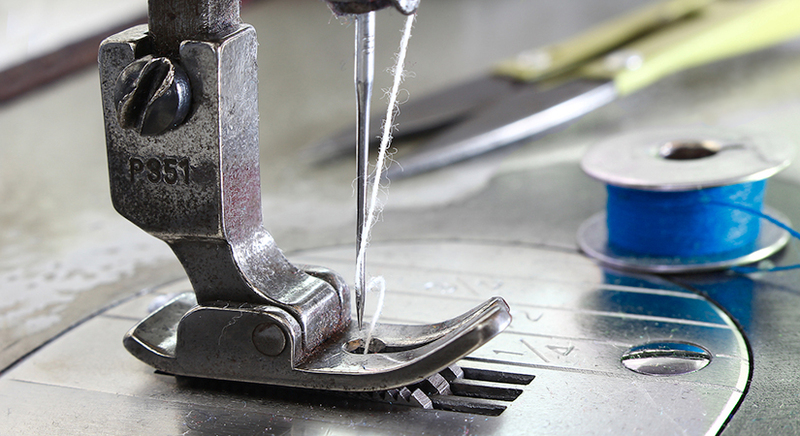 However, often omitted, stitching choice plays an important role in garment production. Differently materials and designs require a certain kind stitching in order to deliver on high-quality expectations. When delving into workwear consider the fabric, garment type and then carefully select the type of stitching to be used. There are hundreds of different types of stitching, but some of the most commonly known kinds are listed below. Chain Stitch – This is a kind of decorative sewing stitch where loops join in a chain-like pattern. It is formed by two or more sets of needle thread and looped thread bound together. You’ll commonly find this particular stitch used on the seam of pants, side seam of shirts and for decorative purposes. Lock Stitch – Is the most common stitch found on garments and created by a sewing machine. Using two threads, where they create a delicate looking overlay pattern. In the workwear manufacturing process the lock stitch is often used on the front pocket, collar, and the bottom hem. Straight Stitch – Ideal for practical purposes, use it to hold fabric together and double or triple stitch when everything is perfectly aligned to provide added strength. The stitch can come in varying sizes depending on fabric used and garment produced. Find it on necklines, hems and it’s a common feature on quilts and patchwork. Zig-Zag Stitch – This stitch makes neat little sharp mountain peaks on fabric, often used for reinforcement. It’s perfect for tidying up those frayed fabric edges, firmly joining elastic to garments and perfect for knit and stretchy fabrics. The stitch is also sometimes used to temporarily hold two fabrics side by side. Triple Stitch – Essentially, here instead of one line thread you have three lines of thread stitched in the same place. The machine sews the first stitch, then sews over that same stitch twice more. This kind of stitch works well as top stitching and creates much stronger seams. Additionally it is great for sewing stretch fabrics as it doesn’t snap like a conventional straight stitch would. Sweet-Orr is the first clothing manufacturer in South Africa to triple stitching lapped seams, to create a stronger garment. So the next time you pick a garment, consider first it’s purpose, fabric and the type of stitching used on all areas of the workwear. Pick a manufacturer that understands the importance stitching plays in creating comfortable and hardwearing clothing in order to maximise on good value. This entry was posted in PPE. Bookmark the permalink.